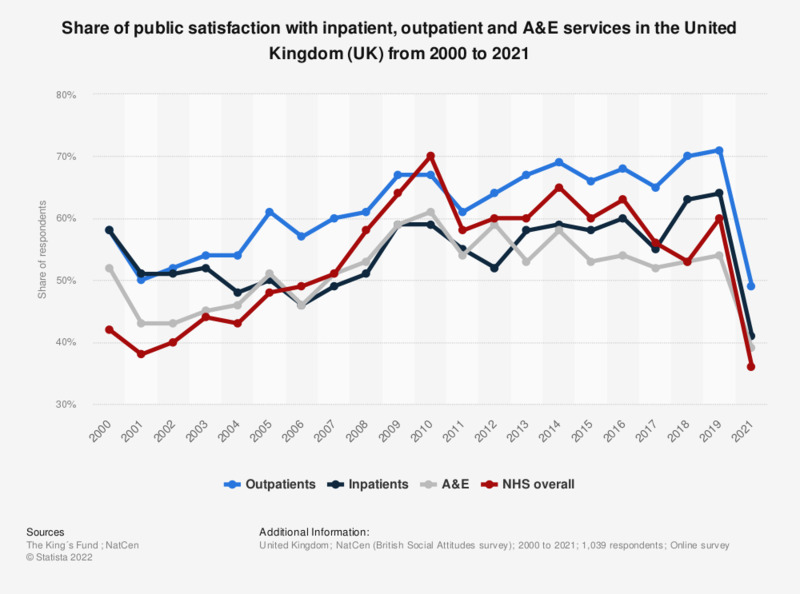 This statistic presents how satisfied individuals are with inpatient, outpatient and A&E services in the United Kingdom (UK) from 2000 to 2018. Individuals were most satisfied with outpatient and inpatient services, accounting for 70 and 63 percent of respondents respectively in 2018. Have you ever used the NHS 111 helpline to get health advice on a self-treatable condition in the first instance? Do you agree with the following statements relating to the NHS?